Dhoni showed he is not finished just yet. 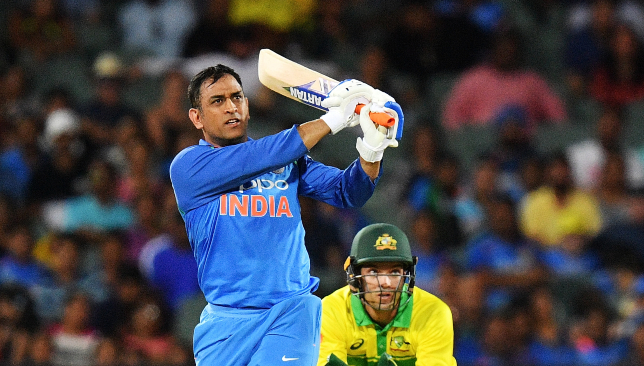 With his place in the ODI outfit coming increasingly under the scanner, MS Dhoni served a timely reminder of his prowess to help India clinch the series against Australia with his third consecutive half-century. The veteran wicketkeeper’s waning powers with the bat has seen calls for his axing from the ODI squad increase over the past year or so and the emergence of Rishabh Pant in international cricket hadn’t helped his cause. A dismal 2018 with the bat in the 50-over format which saw him fail to register a single half-century in 13 innings meant that the noose was tightening around Dhoni’s neck going into the series against Australia. The signal that his place in the side was under threat had been made when he was dropped from the T20 outfit in the home series against West Indies as well as the following one against Australia. As such, the pressure was well and truly on the veteran’s shoulders when the ODI series against the Aussies began. One more false step from Dhoni could have seen the curtains come down on his illustrious career just months before the World Cup in England. With the chips down, Dhoni responded in splendid fashion to silence his critics with a man-of-the-series display Down Under. His batting was immediately thrust into the spotlight in the series opener as a top-order collapse saw India slump to 4-3. The right-hander helped the visitors regroup in the company of Rohit Sharma but his 96-ball 51 in a losing cause only served to increase the pressure on his shoulders. More question marks were raised at his strike-rate which hovered around the 50 mark with the precarious situation Dhoni had walked in to bat conveniently ignored. That criticism only spurred Dhoni on even further with the wicketkeeper notching up an unbeaten match-winning fifty in the must-win clash at Adelaide. For good measure, Dhoni even hit a sumptuous six off the last over of the innings to bring up his half-century. It was as if the old horse was trying to prove a point to his critics that he can still roll back the years and bring out the big shots when needed. A chase of 231 in the deciding ODI was a situation perfectly tailored for Dhoni to do his thing and the stalwart did not disappoint with an unbeaten 114-ball 87 to help India cross the finish line. A series aggregate of 193 runs with just one dismissal will go a long way towards silencing his detractors and his performances could very well have confirmed his ticket to the World Cup as India’s first-choice wicketkeeper. Dhoni’s performance, coupled with Ambati Rayudu’s failure at number four, has also thrown up an interesting proposition for Virat Kohli and India. Though he walked in to bat at No5 in the first two ODIs, Dhoni looked good in the number four spot in the decider and could be a good bet in that role during the World Cup. With a top-heavy batting order at the moment, India are currently lacking a truly explosive batsman lower down the order. Dinesh Karthik has shown that he can be a good finisher when the asking-rate is high but what India would dearly love right now is a batsman in the mould of Yuvraj Singh. The left-hander was key for India with his batting in the lower middle-order in India’s 2011 World Cup win. With his strike-rate, Dhoni could be ideal for India at No4 given he usually takes some time before he gets going. “It’s not about where you want to be, it’s about how many you can fill in that position. I’m happy to bat at any number. If I have to go back and bat at five or six, I’m happy to do that. Because the important thing is where the team needs me,” Dhoni had stated after India’s series clinching win on Friday. With Karthik in the finisher’s role at six, India could afford to play an attacking batsman at number five. Kedar Jadhav showed that he can perform that part with his attacking half-century in the series decider but India could still consider Pant purely as a batsman in that role. With his ability to accelerate from the very go, Pant could be used as a trump card in the number slot and India would be wise to let him audition for that part in the coming months. A chance for Pakistan to leave behind their Test woes. A 3-0 whitewash at the hands of South Africa in the Test series has once again laid bare Pakistan’s shortcomings in red-ball cricket as question marks continue to hover over Sarfraz Ahmed’s captaincy. The comprehensive defeat against the Proteas comes on the back of an unexpected ‘home’ loss to New Zealand in the UAE with the team still struggling to fill the boots vacated by the retirements of Younis Khan and Misbah-ul-Haq. While Sarfraz’s own form with the bat has come under the scanner, the team’s other senior batsmen too have failed to stand up when it counts. There have been some positives in the batting department with Babar Azam continuing to blossom into a fine red-ball batsman while Shan Masood emerged as the top run-scorer for the side on his return to the Pakistan squad. In the bowling department, the pace battery did reasonably well in the Test series but was still some way short of the standards historically associated with Pakistan’s fast-bowling attack. 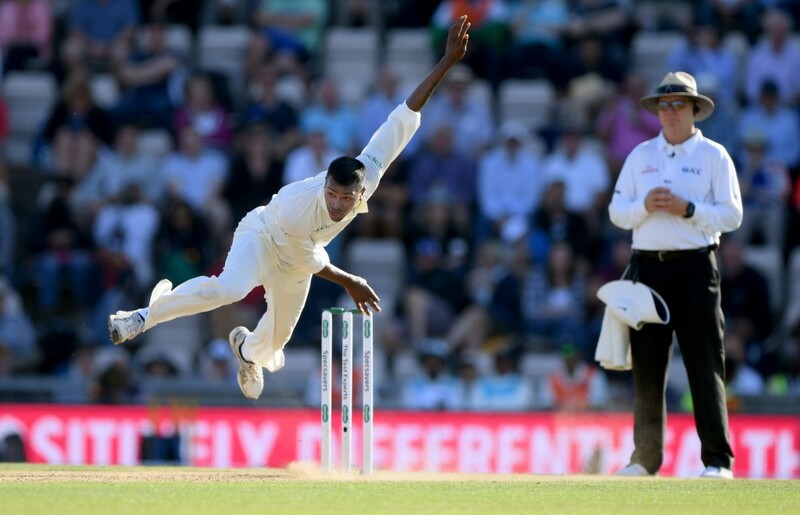 After being humiliatingly whitewashed by Sri Lanka in the UAE last year, the Test outfit had looked to be back on the right track with a good showing in the summer tours of Ireland and England. However, the recent losses against the Kiwis and South Africa has shown that there is a long way to way for No7 ranked Pakistan to establish themselves as a formidable Test team. 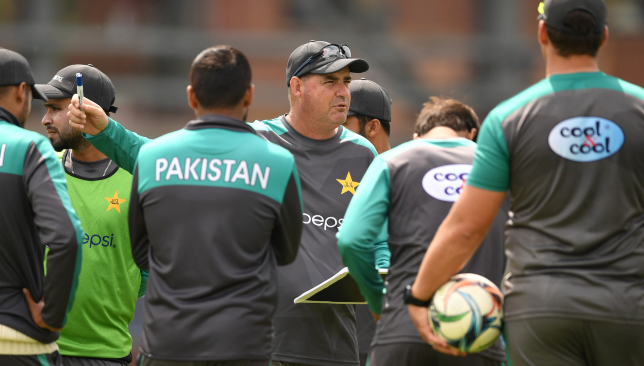 As head coach Mickey Arthur rightly pointed out after the series loss, there exists many chinks in the Pakistan red-ball armoury and they will have to be fixed before the inaugural ICC Test Championship gets under way this year. Pressure has been mounting on Sarfraz Ahmed. Luckily for Arthur and his men, they now have a fair few months to fix their red-ball woes given their next Test series will come against Sri Lanka in September. For now, the Men in Green need to turn their attention towards limited-overs cricket exclusively in the coming months ahead of the 2019 ICC World Cup in England. 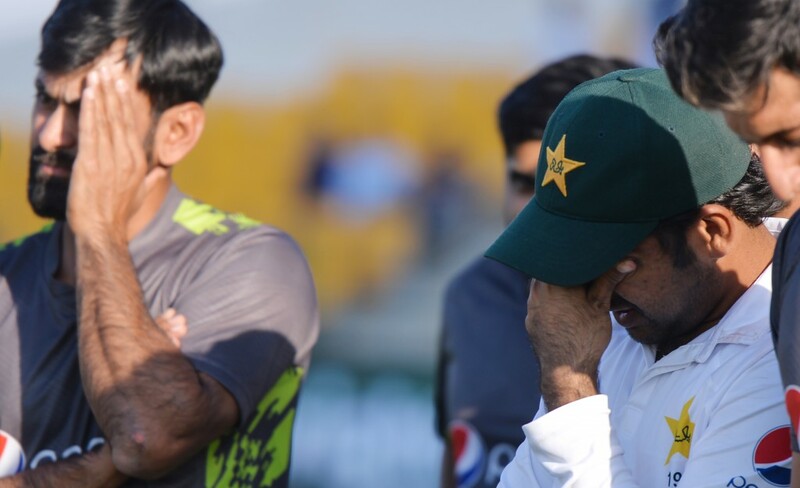 While doubts have been raised over Sarfraz’s leadership in the Test format, the same cannot be said about his captaincy in limited-overs cricket where Pakistan have been flourishing over the past two years or so. Sarfraz’s men have been on a roll in the T20 format where they have won 11 series on the bounce and are the undisputed No1 team. They have not shown the same remarkable consistency in the ODI format but as they proved with their ICC Champions Trophy triumph in England in 2017, they remain capable of raising their game on the biggest of stages. The Men in Green will return to the scene of their 2017 CT triumph. In truth, 2018 wasn’t the best of years for Pakistan in the 50-over format with series defeats in New Zealand as well as a dismal performance in the Asia Cup in the UAE. As such, the preparations for Pakistan’s World Cup campaign should start in earnest now, beginning with the upcoming limited-overs clashes against South Africa. As their T20 performances and Champions Trophy win have shown, Pakistan have all the makings of an excellent ODI outfit. However, there remains a fair amount of work for the team management to do to translate that success into the 50-over format on a regular basis. Pakistan are slated to play five ODIs and three T20s in their South African tour before they welcome Australia to the UAE for five 50-over clashes. Another five ODIs and a sole T20 in England will provide Pakistan a final chance to sharpen their tools before all systems go in the World Cup. Generating some winning momentum in these clashes should be Pakistan’s biggest target in the coming months and a win against the formidable Proteas in their own backward can send the right signals. 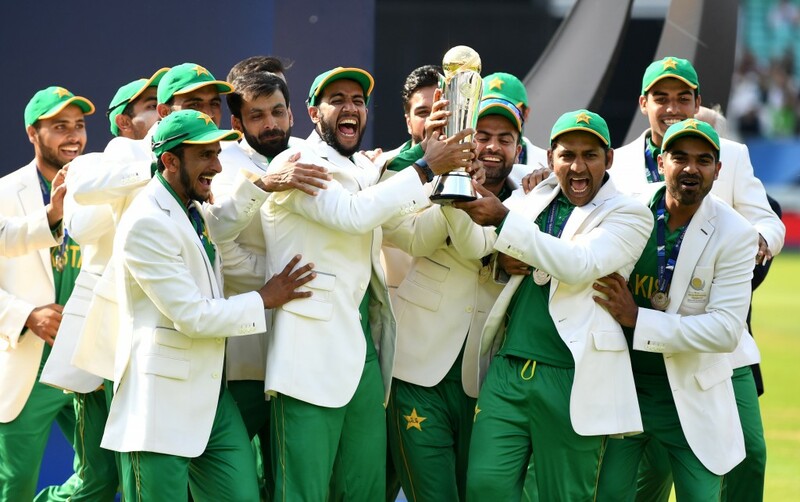 The Champions Trophy title in England was one of the most memorable chapters in Pakistan’s cricket history but the prospect of attaining a second World Cup crown at the same venue should entice them no end. India need to learn from their mishandling of Bhuvneshwar. 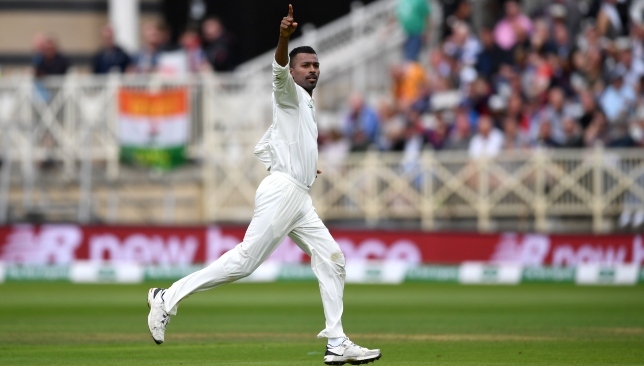 India were dealt a huge blow in their ongoing Test battle against Australia with opener Prithvi Shaw being ruled out of the remainder of the series but the visitors were handed some good news in the form of Hardik Pandya’s return to the squad. The all-rounder has been out of action since September when he sustained a lower back injury in the Asia Cup. But his return for the final two Tests of the series could bring a much needed boost for the tourists. The lack of an all-round option in the pace department has been felt dearly by India in the Test series, especially in the ongoing Test at Perth. Tempted by the pace and bounce on offer in the pitch, skipper Virat Kohli opted to field a bowling unit comprising entirely of fast bowlers. With Ravichandran Ashwin being ruled out of the Test due to an injury, Kohli resisted the temptation of having another spinner with Umesh Yadav being given his first game on the tour. Heading into the final day of the Test, the Indian captain will be ruing his decision with Australia’s star off-spinner Nathan Lyon showing his worth on a fast-crumbling pitch. Despite the assistance for pacers on the pitch, it has been the Aussie off-spinner who has been the pick of all bowlers with a five-wicket haul in the first innings and a further two already in the second. Had Pandya been available, Kohli could very well have fielded a four-man pace attack with Ravindra Jadeja or Kuldeep Yadav also in the bowling attack. Pandya can bring some much needed balance in the attack. As such, Pandya’s return to the side is a welcome sign for the visitors given the balance it provides. With the pitches in Sydney and Melbourne traditionally being the most spin-friendly tracks in Australia, India will definitely need to field a slower bowler and Pandya’s return could be crucial in that regard. Pandya’s ability to chip in with handy runs lower down the order will give Kohli a reason to smile. India’s lower-order has failed with the bat so far in the series and Pandya could fill a gaping hole in that aspect. Pandya showed his all-round worth in his only competitive game so far since his injury return in the Ranji Trophy clash between Baroda and Mumbai. The 25-year-old picked up seven wickets in total including a five-wicket haul while scoring 73 runs with the bat. India need to learn from their mismanagement of Bhuvneshwar. However, despite Pandya’s return to the squad, India will need to be wary as to how they handle his fitness. A back injury to a fast-bowler is always a tricky one to manage as India learnt the hard way with Bhuvneshwar Kumar during their summer tour of England. 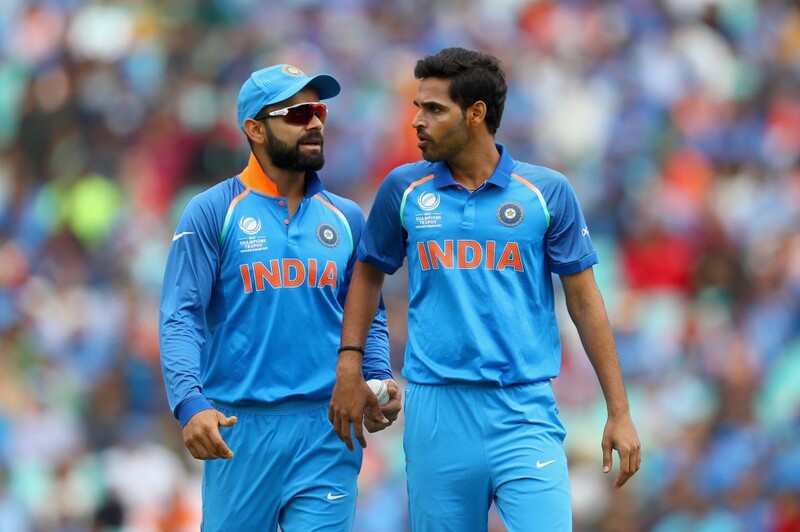 Rushing Bhuvneshwar back from injury in the ODI series proved costly for Kohli’s men in the end with the seamer being ruled out of the entire Test series. Pandya has only played one first-class game since returning to full fitness and India will want to ensure they don’t rush him back in haste with the World Cup to come in the summer next year. Kohli and Co will certainly need to walk a tightrope with Pandya in the next two Tests.